Must admit he’s right and the first time I’ve seen the uranium glass, I was concerned about safety and radiation hazards. 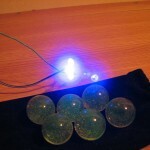 Then I started searching for more information on it, and after getting convinced that it’s relatively safe, I even purchased a few Uranium 238 marbles. 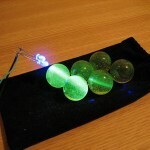 According to various sources it appears these marbles contain approximately 3% Uranium 238. 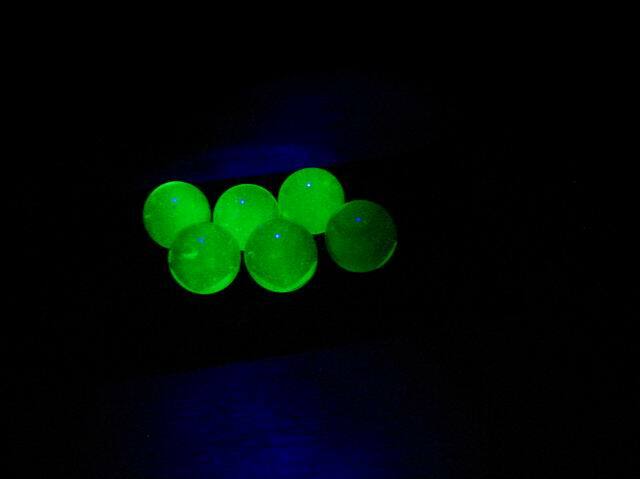 The Uranium is added to the glass in molten state. After the mixture gets colder the color changes from red-hot to the well known pale green. More info on the uranium glass here. 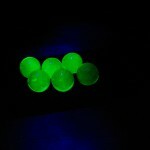 An interesting feature is the green fluorescence under Ultraviolet light. 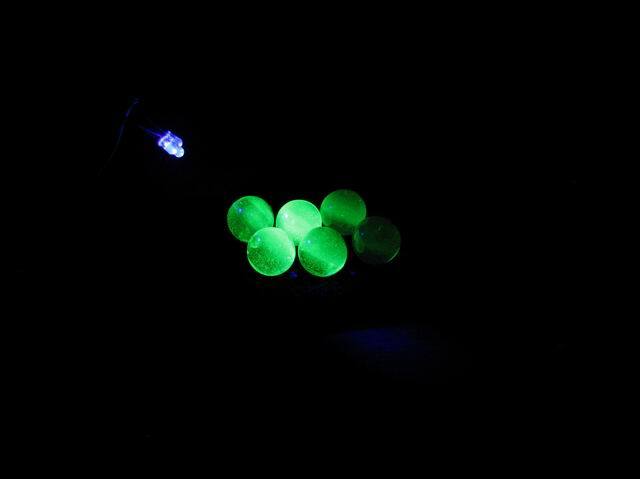 I’ve tried this myself, using a couple of UV LEDs emitting 390nm light. 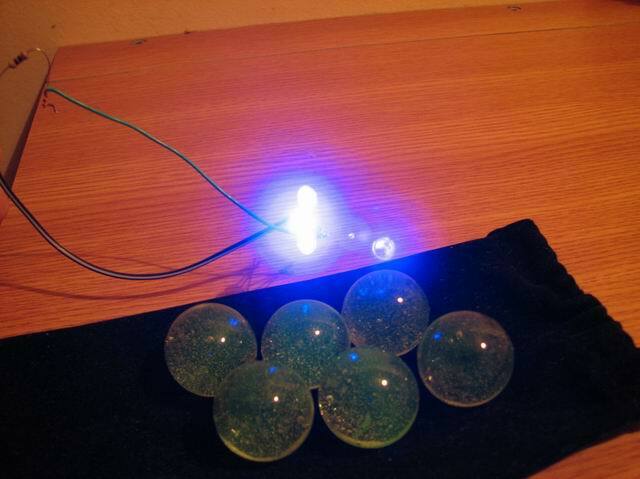 This effect is caused by the Uranium contained in the glass. Ok, I should have started with this subject. 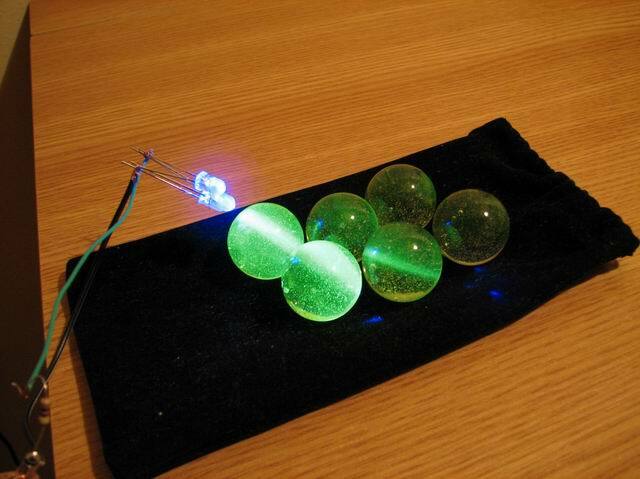 Unfortunately I don’t have a Geiger Counter yet, but planning to purchase one soon, so I was unable to measure the radiation emitted by my marbles. 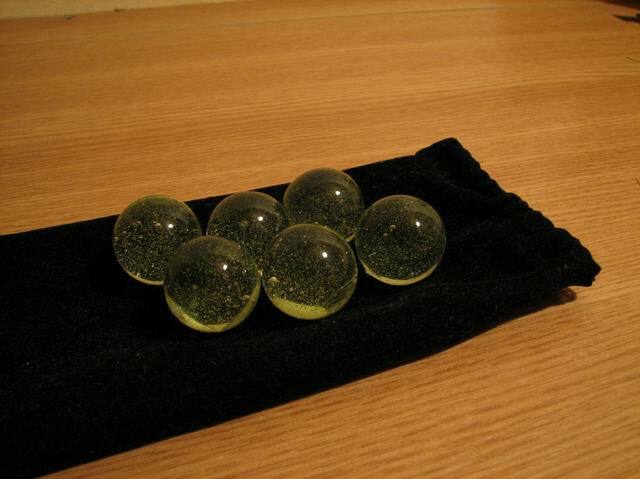 From what I currently know, these marbles do not emit high or dangerous levels of radiation, and are completely safe to handle. I didn’t measure the radiation, but this guy did. See his page for some interesting readings on various sources of radiation. And read more about them here. Get informed!